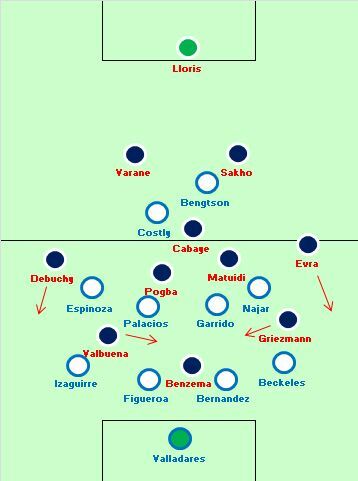 The two sides played similar systems – 4-4-1-1 – and wanted to attack in the same way, by spreading the ball wide. Switzerland were more proactive than Ecuador, however, and pushed their full-backs higher up the pitch, with Ricardo Rodriguez eventually grabbing both assists. 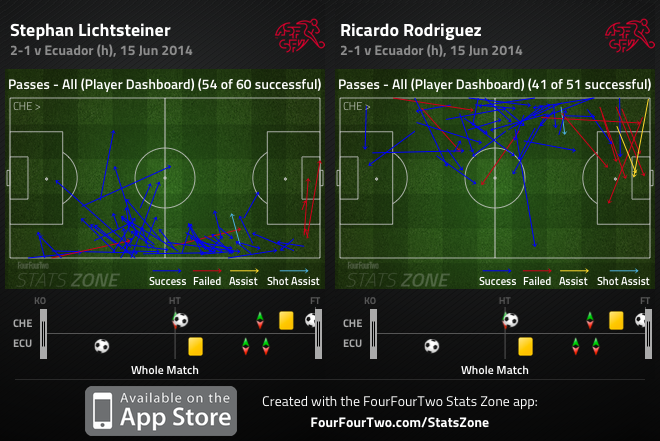 So the pattern became this – Switzerland got the ball, pushed Stephane Lichtsteiner and Rodriguez forward. Then, Switzerland lost the ball, so Jefferson Montero and Antonio Valencia brokequickly into the full-back zones. The game’s best player was probably Montero, who consistently looked threatening when motoring forward down the left. He won the free-kick from Lichststeiner (who endured a difficult match) for the opening goal, scored by Enner Valencia. That was the other major factor – set-pieces. Both goalkeepers consistently looked nervous when the ball was played into the box from wide positions. Alexander Dominguez always seemed to half-come to claim crosses, but then retreated onto his goaline, and wasn’t in the right body position to make a reaction save. He wasn’t especially culpable for the first Swiss goal – headed in after half-time by Admir Mehmedi, but again his positioning was strange. Diego Benaglio suffered from the same problems. Again, you wouldn’t say Valencia’s goal was primarily because of a goalkeeping error, but Benaglio seemed to dive into his goal in an attempt to make a save – which clearly isn’t best practice. This the first match of the tournament where the players looked extremely tired towards the end of the game, with gaps opening up in midfield as a result. 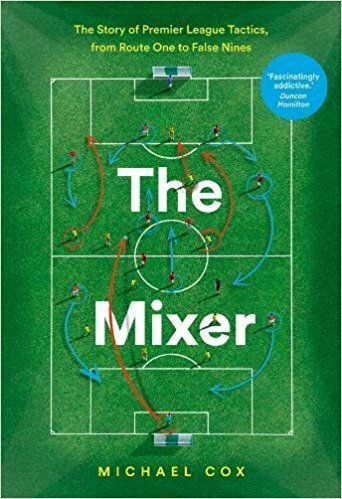 Perhaps unsurprisingly, substitutes played a major part – both managers replaced a winger and a forward to inject life into the game, and these players played a crucial role in the dramatic final stages. One substitute could have won the game – at the other end, another did. Michael Arroyo, on for Felipe Caicedo, had a golden chance to score but delayed his shot and was tackled by Valon Behrami. The Swiss midfielder had otherwise been disappointing in this game, but prevented his side conceding and then immediately launched an attack, which ended with Haris Seferovic – on for Josip Drmic upfront – converting from close-range. The game was crazily open in the final stages, and either side could have won. Mathieu Valbuena was France’s star performer in the first half. Starting in a right-sided position, he drifted inside into central positions, sometimes becoming the top of a midfield diamond, and linked the midfield and attack nicely. 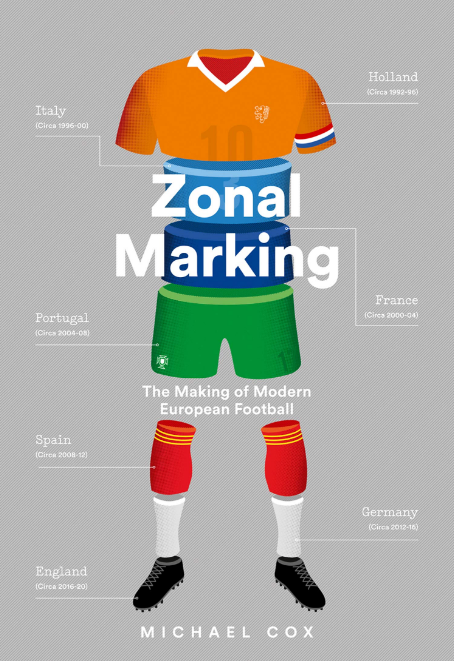 Both he and Antoine Griezmann found space between the lines when the Honduras midfield were drawn up the pitch to close down their opposite numbers, while the Honduran defence keen to remain in deep positions. Valbuena was much better than Griezmann, though. He accelerated France’s passing when central, and out wide managed to draw fouls from Honduras (which wasn’t too difficult) and whipped the ball into the box from the resulting free-kicks. The drifts inside opened up space for the French full-backs to charge into on the overlap. France played a very high defensive line, so it wasn’t too much effort for Patrice Evra and Mathieu Debuchy to provide a good attacking presence in wide positions. Both made good off-the-ball runs, and found space because the Honduras midfield four was very narrow, and because the full-backs were tucking inside. We’d expected Honduras to be extremely physical in this competition, but even by their standards this was a brutal display of tackling. There were at least four extremely poor challenges in the game, many of which were clearly designed to intimidate and provoke, rather than being mistimed attempts to win possession. It cost Honduras, too. While they’d been outclassed throughout, they were doing a half-decent job of frustrating France and almost got to half-time at 0-0 – but Wilson Palacios’ blatant shove on Paul Pogba allowed France to take the lead, and meant Honduras were down to ten men. This has been a tournament of crazy turnarounds, but there was no chance of Honduras getting back into the game – they simply didn’t have the attacking quality, and were completely overrun in midfield. Pogba’s powerful running, and Benzema’s cool finishing, were also features of the second half. But in such a massive mismatch, the tactics weren’t particularly important. This match was basically all about Argentina’s formation. 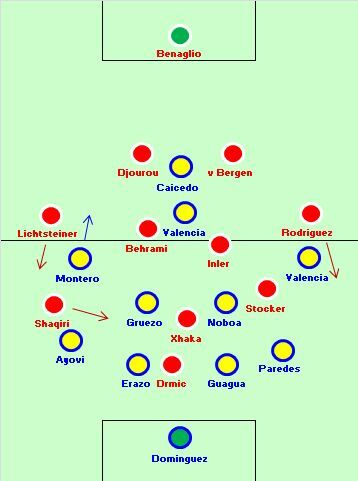 Throughout qualification they had one of the most settled sides and formations around, and while they sometimes played a 3-5-2 / 5-3-2 system, this was only away from home, often when playing at altitude. It was a highly defensive plan B. 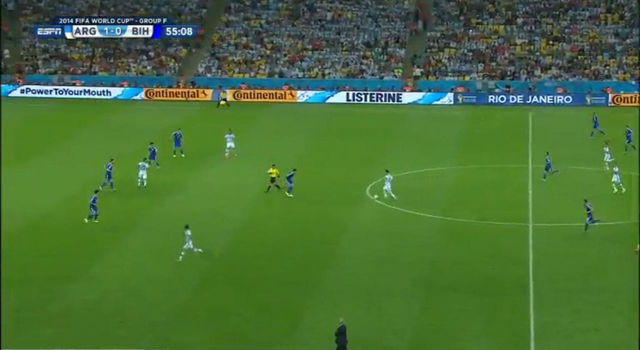 It was very strange, then, that Sabella decided to use that system in Argentina’s opening game. Yes, Gonzalo Higuain wasn’t 100% fit and Ezequiel Lavezzi hadn’t impressed in warm-up matches, but it was a bizarre decision to completely change the system on the basis that one player wasn’t fit. There was no need to use a three-man defence against a Bosnia side only playing one man upfront, and even if Zvjezdan Misimovic played high up the pitch enough to be considered something of a second forward, Javier Mascherano was marking him anyway. Argentina had 4 v 2 at the back. In fact, it’s worth remembering that both Mascherano and Marcos Rojo play centre-back for their club sides – Sabella was effectively fielding five centre-backs here, plus Pablo Zabaleta, a feisty, aggressive full-back. He and Rojo pushed forward up the pitch, but Argentina’s problem was obvious – they simply didn’t have enough attacking weapons or ball players. Their passing was incredibly slow, and they were flattered by their 1-0 lead at the break, the goal simply coming from a free-kick that hit Sead Kolasinac and dribbled into the net. In fact, things were so bad that Sabella completely changed his system, making two substitutions and reverting to the 4-3-3 (and starting XI) Argentina had generally used throughout qualification. Hugo Campagnaro and Maxi Rodriguez off, Gonzalo Higuain and Fernando Gago on. The difference was quite extraordinary – Gonzalo Higuain played upfront and pushed back the defenders, creating space for Leo Messi just behind. The number ten came alive, and scored a wonderful goal. Fernando Gago brought some authority to the centre of midfield, and ensured the tempo of the passing was much higher. The full-backs were still able to push up the pitch, and Argentina still had a spare man at the back. It was a return to Argentina’s best system, and a shape that suited the demands of the opposition too. Credit to Sabella for switching the shape, but why did he bother with the five-man defence in the first place? The nature of the scoring completely contradicted the pattern of the game. Bosnia were 1-0 down at half-time having been marginally the better side, then they drew the second half 1-1, despite being outclassed. In the first half, Bosnia’s wingers helped defend against the Argentine wing-backs, although at a certain point on the pitch, the Bosnian full-backs took charge and helped out, so Bosnia didn’t become pinned back inside their own third. In midfield, Mohamed Besic played excellently against Messi in the first half, and justified his recent inclusion in this XI, after Bosnia had played without a proper holder throughout qualification. Alongside him, Miralem Pjanic played some excellent passes into attack, and encouraged the wide players forward. 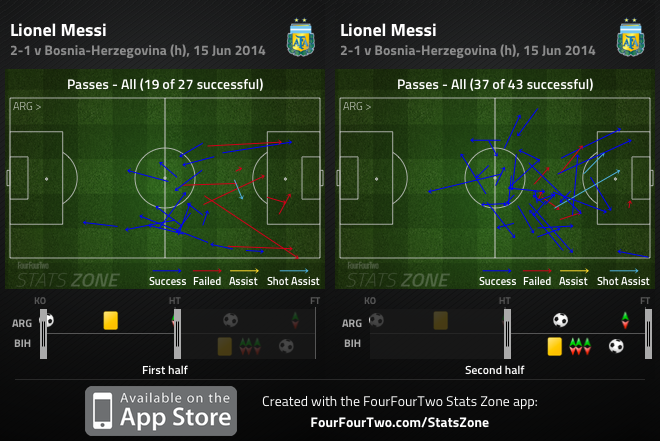 Bosnia created nothing more than half-chances in the first half, but that was more than Argentina managed. They seemed caught out by Argentina’s tactical shift at half-time, however, and weve unable to cope with the speed and movement of Argentina’s attacking quartet. Susic’s introduction of a second striker, Vedad Ibisevic, worked well – now Argentina no longer had a spare man at the back (this, if ever, was when a back three would have made sense…) and he ran in behind Federico Fernandez for the consolation goal. The introductions of Edin Visca and Haris Medunjanin didn’t work so effectively, though, and in Susic’s determination to keep a solid shape, he ended up playing a couple of players in wildly different positions. Senad Lulic dropped back to left-back, Kolasinac switched sides and Ermin Bickacic seemed to have a spell at right-back – his terrible late cross summing up his struggles in that role. It all seemed a little frantic and disorganised from Bosnia, whereas a simple switch to a two-striker system, and everyone else playing roughly the same role, might have worked better. Germany v Portugal – we’ve seen this many times before – at three of the last four major tournaments. Portugal are a settled side and depend heavily on their star player, while Germany’s shape and XI is unpredictable, and they could leave out their star players. Iran v Nigeria – in a World Cup group stage already being billed as the best ever, this could be something of a challenge. Iran sit deep and defend, while Nigeria rely on the counter-attack. Ghana v USA – Ghana have effectively eliminated the USA in the past two World Cups. This should be an interesting game, with Ghana’s counter-attacking width against Jurgen Klinsmann’s narrow diamond, which will command the centre of the pitch. Totally agree with your analysis of Argentina Michael – I think the big problem with Messi coming deeper and deeper in the first half to collect the ball was that it left Aguero incredibly isolated up top, with di Maria not really performing his shuttling role as we’ve come to expect. What probably sums up Messi and Augero’s first half best is that they only combined twice in the first 45 minutes – one of which was the kick-off! 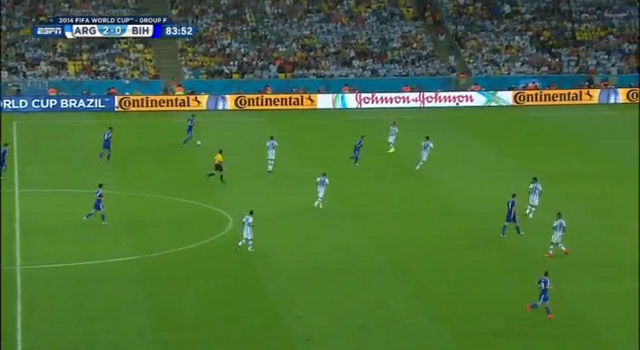 While Argentinas 4-3-3 is great for their attacking potential, it seems to make them wide open. They got through most of the second half defending with seven players (with Di Maria shuttling, essentially six at times), neither of the front trio looking to take any part in the defensive work. 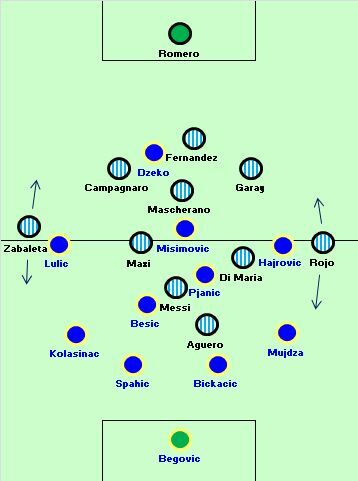 Only at 2-1 they seemed to focus on this with Biglia in and switching to a 4-4-1-1. I hope Sabellas has this in mind, either telling Aguero and Higuain to defend the flanks better (Messi is cleary told/not interested to take any part), or introducing more hard-working players like Lavezzi/Maxi instead. The tournament is pretty much set to repeat it self for Argentinas sake from four years ago right now if they keep up, blowing away minnows in the group and they are most likely to face Switzerland in last 16, but then either Belgium, Germany or Portugal seems possible in the QF, three teams that could thrive on the counter attack against an open Argentina and blow them away. Very true what you say about the 3 forwards not defending. Nevertheless, 4 years ago, in the fateful match, they played a midfield of Di Maria-Masch-Maxi (strangely the same MF) Sabella played today. Firstly, Sabella now plays 2 DM’s (Masch and Gago). Maxi never starts for Argentina. This was a combination of Gago being unfit and Sabella thinking a veteran was needed to calm nerves. Also, Sabella would never field this midfield if he didn’t have 5 at the back. Secondly, Di Maria is more disciplined defensively. He’s played a midfield role all season. During 2010 he was more of an out and out winger. Fourth, the defensive personnel while not great is better. Zabaleta, FF, and Garay are all solid defenders. Rojo is adequate. In 2010 it was Otamendi playing the first match of his life as fullback, an aged Heinze as the left fullback, an aged Burdisso and Demichelis. Lastly, Sabella’s main focus has always been on defensive organization. The defense is better drilled. I hope so for Argentinas sake. Although factors like structure and defensive discipline (amongst others) are important to consider, it is purely logical that defending with nine or even ten are better than seven. Argentina gave away a huge amount of space on either sides of the midfield three in the second half, and one of the elite teams would love to exploit that. It will be very interesting to see how Argentina lines up in the later rounds. I reckon they will cruise through the group stage with their 4-3-3. For argentina, I think it’s ridiculous other players will hace to perform below optimum for Messi to shine & it will be their undoing more thananything. I believe that Argentina also have a problem with width, especially with the second half changes, which gave Rojo and Zabaleta more defensive responsability, so they didn’t go forward very often. And maybe it’s just me, but wasn’t Argentina shape in the second half more a diamond than a 433? Messi was deeper than usual, starting his runs in the middle of the pitch, plus Aguero and Higuain didn’t play very wide. Yes, but the Italian version of the diamond. Front three doesn’t do any defensive work whatsoever, back seven (except di María) stays back to defend. Actually the score was 1-0, then 2-0, then 2-1. He doesn’t mean the score was 1-1 at some point in the second half. He means that, while they performed better in the first half than Argentina, they lost that half 1-0. The second half they drew 1-1, but played worse than in the first. Regarding the France’s game, I didn’t think Pogba impressed that much, has wasn’t the leader we expect him to be. He was withdrawn after just 55 minutes, probably due to his yellow card. Gotta say I have a soft-spot for Honduras. Their style of play reminds me of what the early, defensive Italian teams called ‘the right of the weak’. 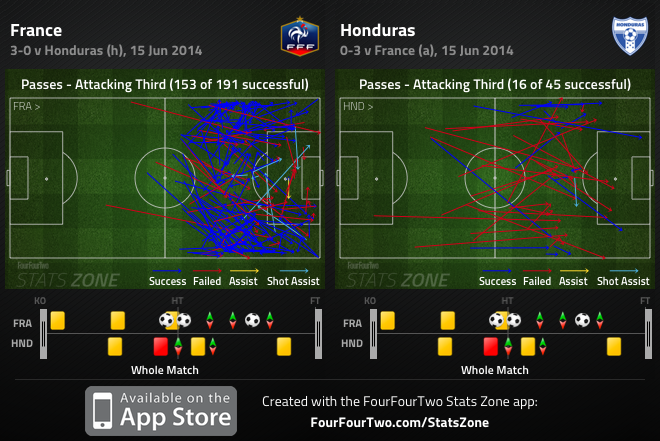 Honduras are nowhere near as effective as the Italians were though – but that’s part of their charm. Hopefully they won’t injure anyone. I’m gonna have to disagree and say the problem is not 3-5-2 but the personnel, specifically Maxi Rodriguez. He has no natural instinct to play forward or overlap at this point! Just ambling around most of the time. I re-watched the first half closely and god, the first time the man made the slightest attempt to pick up the pace and overlap was in the 31st minute! Di Maria, Rojo,Zabareta were at least making an effort at runs but not Maxi, zip, zero,zilch! For god’s sake when you have Messi dropping back, try to overlap with him a bit. I would say bench him, keep 3-5-2 but play Gago and allow them the Iran match to get some chemistry, because honestly the back 3 is probably the best way Argentina makes a deep run. 4-3-3 with the fantastic four just leaves too many holes. The problem with a back three is that it’s very risk against a side with a lone striker, since it allows too much space in other zones. This becomes a especially problematic considering that the top sides (i.e. Germany, Brazil or Spain) play like that. Argentina look more like Argentina playing like that, Messi dropping so deep he seems more a number 10 than a false 9.